We are a real estate company and we sold a home, no big surprise there, right? Well, unless you are an expert in what it takes to sell a home in the digital age, then the story of how we sold this house in just a few days will likely change your thinking forever. Most times a home seller will hire a real estate agent and then HOPE that the agent will find a buyer for their home. And that is typically a hope shared by the agent. But selling a home in the digital age allows us to do things very differently, though it requires us to commit significant resources to our real estate brokerage business. And this "different" process allows us to sell homes faster at full market value. Rather than waiting for somebody to hire us to sell their home, Joe Manausa Real Estate invests hundreds of thousands of dollars each month to draw a continuous stream of prospective homebuyers to our Tallahassee Real Estate Website and maintain communication with them until they are ready to buy. 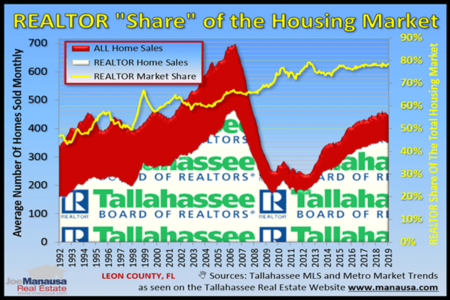 While traditional real estate agents (who work independently) spend a little bit of money each month trying to find buyers who are ready to make decisions, we actually work to find the entire pool of potential buyers in Tallahassee, most of whom will not be making a buying decision in the next twelve months! So our process is backwards when compared to other real estate agents. We first identify the buyers in the market, establish a long-term relationship with each one, and then when a home seller hires us to sell their home, we present their home to the pertinent ready-buyers on our list. Our database of prospective buyers is just under 20,000. Imagine the amount of "man hours" invested to stay in touch with 20,000 people! It is costly, and it is the very reason why we out-perform agents who attempt to sell a home using out-dated methods as a single agent. Sure, they may sell some homes, but when marketing to a smaller pool of buyers, they are likely not delivering top dollar for their sellers. A few months ago, we listed a home for sale on the east side of Tallahassee and sold it within a few days. The seller was excited as we sold it above asking price and she said "wow, you really sold that fast!" In reality, it took us two years and one month to sell her home, because that was how long we had been working with her buyer. At 2:33 p.m. on Thursday, July 10th 2014, "Mary" registered on our website to see homes for sale in Killearn Lakes. We then began a relationship online that included sending hundreds of emails filled with information that we knew would be helpful in her education on buying wisely. We actually did not speak with her directly for more than eight months, as she did not want to speak with us until she was really ready to move. She did receive and read many issues of Tallahassee Life! 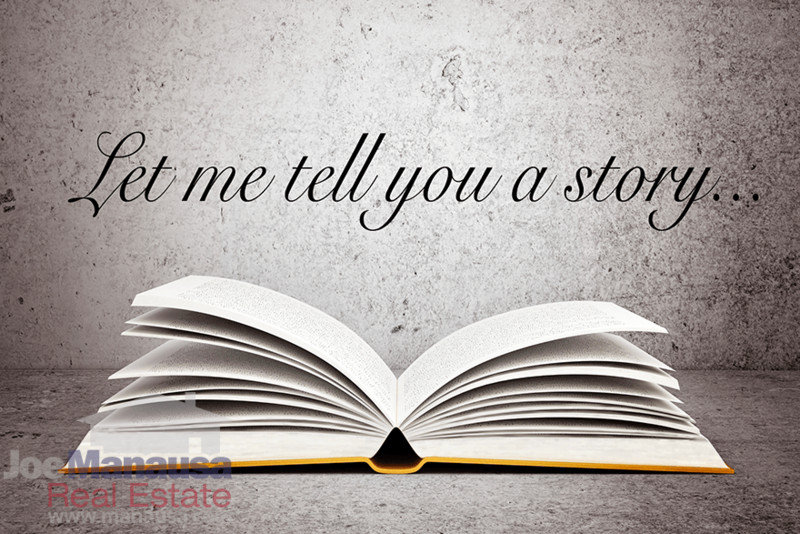 (our monthly newsletter filled with interesting places and things to do in Tallahassee) and she poured through hundreds of articles that we've written that serve to educate and prepare homebuyers. After nearly a year, she called us and asked us to sell her home and help her buy another. We listed her home for sale and sold it fast, and then we showed her our new listing and helped her write a smart offer and get the home of her dreams. Her purchase came 25 months after our first contact. She showed up to see homes in Killearn Lakes but ended up buying on the east side of town. So what's the real "take away" from this story? It's that we were already working to sell the home many years before we were hired. A home seller on the east side of town hired us to sell their home, and we did so in just three days. Where did we find the buyer? In our database! We had procured the buyer 25 months prior because we wrote an article about the Killearn Lakes community and Google referred her to us as the local Killearn Lakes expert. This is why we write more articles about neighborhoods in Tallahassee anybody else. Google knows that We Know Tallahassee Real Estate! So ... we had been working for more than 25 months to find buyers for her home; to our seller, it APPEARED to take three days. Go to google and find local real estate agents with many excellent reviews. And Facebook. And Zillow. Just as you would check the reviews on a product you might buy on Amazon, so too can you see what past customers now have to say about the service they received when they bought or sold a home. You can see reviews about us below this article and what sites where they were originally were posted and still can be viewed. Once you've selected a few agents to interview for the job of selling your home, ask to see their database. Ask them to demonstrate how their GROUP EFFORT works to stay in touch with all those thousands of people in order to deliver a swarm to your home immediately when it hits the market. If they can't just quickly open their computer and show you the database, then it is likely they are not "working" it and the database has no value. Ask them to tell you how many agents work for them (with them) to support their follow-up efforts. There is no way they are working 20,000 prospective buyers without ten or more people helping out. 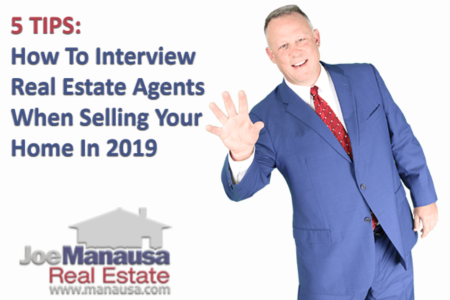 Try to find out how well they've invested into selling your home (already) ... you don't want an agent who is "all talk." Make them show you the office, introduce you to their full team of employees, and this will ensure that you are hiring a full-time, fully engaged operation. If you would like to know more about how we sell homes faster and for more money than other real estate companies, simply drop me a note and we'll schedule a time to take you through our demonstration and introduce you to our full service operation.